We offer a professional external support for business processes in enterprises. Thanks to a flexible approach, each customer can select the scope of services that precisely matches his/her needs. We provide support for all economic entities from small and medium enterprises to multinational corporations operating on a large scale. Our customers are companies operating in many industries, of different structures and areas of activity. Our strength is a wide experience in manufacturing companies, in which the identification of processes and costs influencing the achieved results is particularly problematic. We use a proactive approach to working with clients which means that we do not confine ourselves to entering data, but we thoroughly verify the documents delivered to us. This assures completeness of the information and the confidence that accounting and reporting is adapted to constantly changing regulations. On request, we can generate sales invoices and provide other documents required in current operations. We help plan your expenses and create professional forecasts for the company’s results in both short, medium and long term perspective, and analyze their implementation. We provide management reports created on the individual needs of each company. Our accounting software allows us to analyze the data according to cost centers, orders, services, products, regions and other indicators, and our team provides support in analyzing the data. We care about correctness of tax and public settlements of our clients and represent them in contacts with institutions such as tax authorities and social insurance. The service includes sending all necessary declarations (mostly electronic) and conducting ongoing correspondence. We represent clients during audits and control activities. We deliver reports on outstanding balances as well as prepare and update cash flow plans. We provide services of introducing payments for execution into the banking systems. We provide payroll services, we prepare contracts of employment and civil contracts, certificates needed by employees, work certificates, we generate billing statements (PIT). On behalf of clients we use the system “Płatnik” and supply the necessary declarations to Social Security Office. We also run health and safety trainings. Knowledge and experience allow us to professionally run books of account and apply the principles in accordance with International Financial Reporting Standards; It is our advantage for the customers whose owners include foreign investors or companies that are listed on stock exchanges. 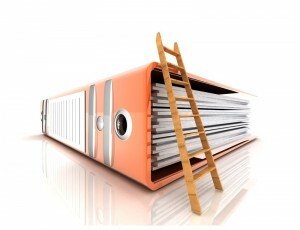 For our customers we create and analyze reports in the standards and formats required by their mother companies. We offer services of entering and managing data in data warehouses used by corporations such as Hyperion, Ocra or Cognos . Foreigners living outside the Polish territory are often involved in management boards of the Polish subsidiaries of multinational companies. They may have insufficient knowledge about the obligations of entities subject to our law. We provide them with support in administration and management of the company. We develop minutes of board and shareholders meetings, we ensure the statutory deadlines for submission of documents. We actively participate in the management of the local branch often acting in function of a management representative and advisor perfectly familiar with the specifics of Polish business reality. We deal with consulting on increasing efficiency of the enterprises of various industries throughout the country. Many companies, which for years have experienced rapid growth, developed their internal processes in an intuitive way that at a given level of development becomes inefficient. In every company there are many opportunities for improvement. We help identify areas and business processes which allows changes to improve financial performance. The first stage of cooperation is to map business processes so that the customer could see how we perceive it. During the audit we know all the departments, meet with key employees and ask about their responsibilities. We review the documents that are generated by individual departments and explore interactions with internal and external customers of their work. We also analyze the extent to which the processes implement and support the company’s strategy. We assume that the departments supporting the main processes of production and sales (such as the IT department, human resources department or accounting) can have a huge impact on the actual operation of the company. Hence, the audit do not omit these areas and observe what their importance within the company is. We assess the severity of financial control – we pay attention to the indicators with which the company measures its actions, what data is used to draw conclusions and what the basis for decision making is. The result of the audit is a thorough evaluation of the existing structure in terms of its functionality, internal cohesion and ensuring the economic viability of the company. In this phase, we present the conclusions of our review – we present the areas which in our opinion need to reorganize or eliminate targets and proposals for changes and improvements. Even the most efficient process model stored on paper will not bring benefits to the company if it is not enacted. Economic practice shows that for various reasons the implementation of the new measures is as hard or even harder than their generating. Therefore, we do not leave the company with the draft in hand, but actively participate in the work on its implementation.